If you are looking for quality bedroom furniture the Santiago bedroom collection is the one for you. The whole range is superbly crafted from rustic wood to give it that unique handmade feel. There are varying types of storage so you can customise your bedroom design on your preferences and space requirements. There are four different sized chests of drawers, with the 6 drawer and the 2+2 drawer chest including deeper drawers perfect for larger items. The 3 door wardrobe gives an extra option for storage with three adjustable shelves. 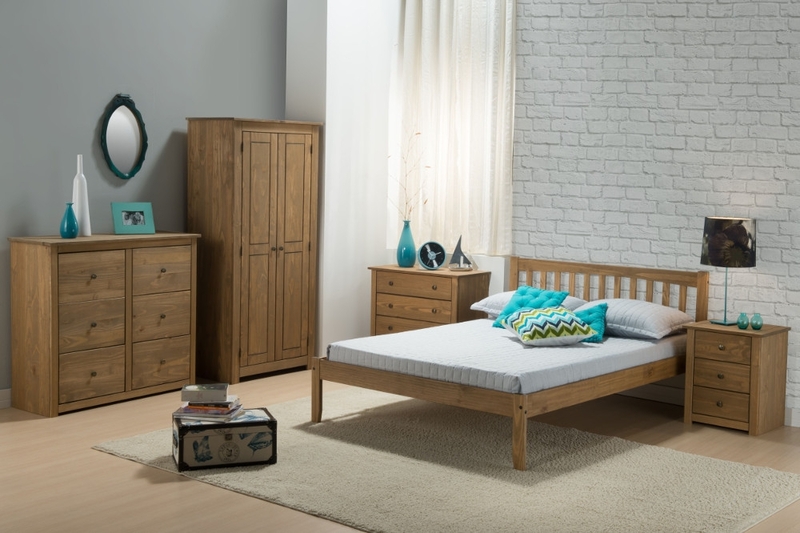 Тhe Santiago distressed pine bedroom range is supplied flat packed but all the items come with very clear and easy to follow assembly instructions.